Saul, a tall young man, was sent by his father, Kish, to find their donkeys. 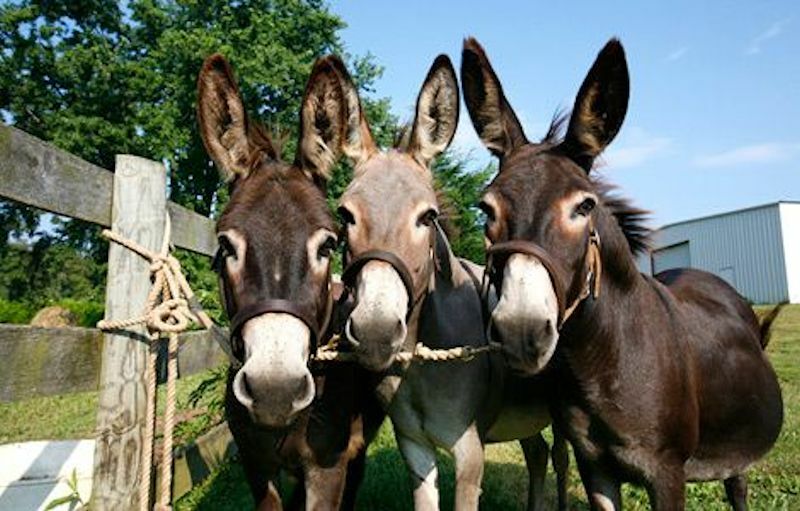 Saul’s servant suggests they go ask a man of God where the donkeys are because they couldn’t find the donkeys. The man of God is Samuel, and God had told Samuel the day before to anoint a man from Benjamin as the leader of the Israelites. God tells Samuel Saul is the one once Saul meets Samuel. Saul and Samuel ate together. Samuel took a flask of oil and poured it on Saul’s head, anointing him leader. Samuel instructs Saul, telling him hes’ going to meet 2 men near Rachel’s tomb, 3 men at the tree of Tabor who will give you bread, and then you’ll be changed into a different person when you meet a procession of prophets and prophecy with them. Then Saul is to wait for Samuel at Gilgal. All of this occurred and the Spirit of God descended upon Saul and changed him. 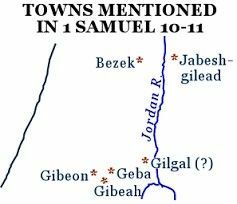 Samuel gathered the people of Israel at Mizpah to present Saul as king. Saul at first hid and had to be brought out. Samuel told the people the regulations of being king and wrote them down. Some were not happy with God’s choice of Saul as king. 3) Directly. God told Samuel the day ahead of time of the circumstances of meeting Saul and that he was a Benjamite and then when Samuel actually met Saul, God spoke again to make it clear His choice. This had to be important for God to be so directly involved. 4) Samuel instructs Saul, telling him hes’ going to meet 2 men near Rachel’s tomb, 3 men at the tree of Tabor who will give you bread, and then you’ll be changed into a different person when you meet a procession of prophets and prophecy with them. Then Saul is to wait for Samuel at Gilgal. All of this occurred and the Spirit of God descended upon Saul and changed him. The king was to be commanded and directed by God and obey God. The prophets such as Samuel were to reveal God’s will to the king. The king, however, can prophesy as well. 5) Part personal Question. My answer: God speaks directly sometimes, and we should obey. God has a ton of work for me to do from raising my kids to serving Him to my jobs, my writings, and my testimony of my life. I love God’s directness here in choosing Saul and re-iterating his choice with Samuel. I love how Saul at first shirks his duties and then embraces them, probably out of fear. I think we all are hesitant when called by God to do His work. It’s good to know this is a natural human reaction. I love how unassuming Saul is as we all are. We all can be called and used by God. Saul means “asked of God”. He came from a wealthy family and was good-looking and tall. What do we learn from Saul and the donkeys? Not every event in our life holds great meaning from God. God uses situations to guide us. When consulting a prophet, it was common courtesy to bring a gift (Amos 7:12), whether modest (1 Kings 14:3) or lavish (2 Kings 8:8-9). Saul had no relationship with the LORD, so God spoke to Saul through lost donkeys. But Samuel knew and loved the LORD, so God spoke to Samuel in his ear. In his ear is literally, “had uncovered his ear.” The same phrase is used in Ruth 4:4. “The phrase is taken from the pushing aside of the headdress in order to whisper, and therefore means that Jehovah had secretly told Samuel” (Smith, Pulpit Commentary). It doesn’t mean Samuel heard an audible voice from God. God gave the prophet Samuel specific guidance regarding future events. Samuel received this guidance wisely and looked for the fulfillment of the words to confirm God’s choice of a king. But Samuel also wisely refused to manipulate circumstances to “make” what God said come to pass. Samuel felt that if this was God’s word, He was able to make it happen. Though there were many problems with the reign of Saul, no one should think it was a total disaster. Saul led Israel to many military victories and greater independence from the Philistines. God confirms his words to Samuel twice. This is something we should look for in our lives: a confirmation of God’s Word. When Samuel spoke to Saul, he prove to Saul that he was a true prophet from God. He showed Saul he knew things that he probably could not have known unless it was revealed to him supernaturally. What does the seating arrangement at supper between Samuel and Saul tell us? The seat of honor was always on a particular side next to the host. It was a great honor to be seated in this place next to the prophet Samuel. Saul was also given the special portion. In that culture every meal had a special portion to be given to the one the host wanted to honor. Saul was specially honored at this meal. The word “anoint” means to rub or sprinkle on; apply an ointment or oily liquid to. The Holy Spirit was poured out onto Saul. Fun Fact: This is one of the earliest references to prophets in the Bible. As Christians under the New Covenant we also have an anointing: But you have an anointing from the Holy One (1 John 2:20). In the New Testament sense, anointing has the idea of being filled with and blessed by the Holy Spirit. Kissing was a sign of Samuel’s support of Saul. It was a secret anointing because it was not yet time to reveal Saul as king to the nation. As Christians, our anointing often comes in just such a private way. If there were no men by Rachel’s tomb, or if there was only one man and not two, then Saul would know that Samuel did not really speak from God. If the men by Rachel’s tomb didn’t tell Saul about finding the donkeys, Saul could know Samuel was not a true prophet. God gave Saul this sign to build confidence in the work of the LORD. The third confirmation: It would be unusual for men to simply give a stranger like Saul loaves of bread. Prophesying isn’t necessarily predicting the future, but that they all spoke under the inspiration of the Holy Spirit. What does the group of prophets tell us? God always confirms His anointing. Saul had to wait for Samuel because Saul had to show that even though he was a king he was submitted to the LORD and the LORD’s prophet. We’ll see later on that when Saul doesn’t wait for Samuel, disaster strikes. We also can have another heart from the LORD, but we must receive it from Him. We can’t receive a new heart from anyone except from God, and we can never make a new heart in anyone else. The LORD, speaking through Samuel, showed Israel how their rejection of Him made so little sense. It makes no sense to reject the one who saves you out of all your adversities and your tribulations. Yet so many of us do. The choosing by lot simply confirmed the word of the LORD through Samuel. God gave the Israelites what they wanted: a king who looked like a king. 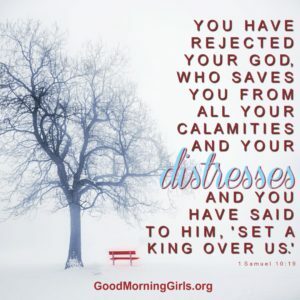 Samuel taught the Israelites God’s guidelines for both rulers and subjects, probably using Deuteronomy 17:14-20. It doesn’t seem that this book Samuel wrote is contained in any of the books of the Bible. This doesn’t mean that there is something missing from our Bibles. It simply means God did not want this book preserved in His eternal Word. Saul had men to support him. Saul was chosen and anointed by God. Saul was filled with the Holy Spirit. Saul was supported by a great man of God. Saul was given gifts appropriate to royalty. Saul was enthusiastically supported by most all the nation. Saul was surrounded by valiant men, men whose hearts God had touched. Despite all these great advantages, Saul could still end badly. Saul had so many advantages, yet it all comes down to choice. He had to choose to walk in the advantages God gave him and choose to not go his own way. The rest of the book of 1 Samuel shows how Saul dealt with that choice. Summary of passage: Sin entered the world through Adam and death as a consequence. Death and sin has been in the world ever since. 3) Adam. In Genesis (not in this passage in Romans), God warns Adam not to eat of the tree of knowledge of good and evil because he will die if he does. God curses man because of this sin, initiating death to all of mankind and enmity (the devil) into the world. Pain in childbirth came and man was cursed to work for his food. Man was banished from the Garden of Eden forever and under sin forever. 4) That people are born good. We are all born sinners. I believe this because we are told so in the Bible multiple times (like verse 12) and because of man’s nature–selfish, prideful, greedy, lustful, etc. After Original sin of Adam, all were born sinners. Conclusions: I realize we gotta spread 16 chapters of Romans out over 30 weeks, but this was another “duh” day (as evidenced by the number of extra passages BSF had to send us to). If you’re a Christian, question 4 was dumb. Everyone wants to think they’re good, but deep down we’re evil. Only Christ makes us good. I fail every day and I readily acknowledge that. It’s a good way to stay humble. End Notes: Romans 5:12-21 is a contrast between Adam and Christ. Adam introduced sin and death into the world; Christ brought righteousness and life. These two verses sum up the comparison that ends in verse 18. Furthermore, these two men also sum up the message of the book up to this point: Adam stands for humanity’s condemnation (1:18-3:20) and Christ stands for the believer’s justification (3:21-5:11). pattern Note both are one act: biting the apple (universal ruin), dying on the cross (universal blessing). What a lesson for us on how powerful (and consequential) our actions can be! Significantly, Adam is responsible for the fall of the human race, not Eve. Eve was deceived when she sinned, but Adam sinned with full knowledge (1 Timothy 2:14). Death entered through Adam and has never left. And it won’t until the Second Coming. All men are subject to death and therefore subject to sin–even babies–through Adam. Is this fair? No. But is it fair to be made righteous by the work of another man? Yes! Since we are made sinners by the work of another man. If we aren’t made sinners by Adam, then it isn’t fair for us to be made righteous by Jesus. Most people don’t want to admit babies and kids are sinners. But think about this: did you teach your child to be bad? No. By nature, they just are. If babies are sinners, does that mean that they go to hell if they die? Not necessarily. First, we know that the children of believers are sanctified by the presence of a believing parent (1 Corinthians 7:14). Secondly, David had the assurance that his baby would meet him in heaven (2 Samuel 12:23). Finally, we know that at the end of it all, God, the judge of the entire world, will do right (Genesis 18:25). If there are children of unbelieving parents in heaven (we don’t know), it is important to understand that it is not because they are innocent. It’s because of God’s grace and mercy that He let them in. We are are guilty and undeserving of salvation. It’s all God! Sin and death were in the world before the Law was given–even to those who didn’t sin. However, the Law cannot save us–people still died. Death still reigned. Paul says Adam is like Jesus because both were sinless and both brought eternal consequences to the world! Summary of passage: The crowd, realizing Jesus and the disciples had departed, followed to Capernaum. When the found Jesus, asked when he got there. Jesus answered they are looking for the wrong reasons: he is the food that endures to internal life. 4) Part personal Question. My answer: The people are following Jesus because he fulfills their immediate and physical needs. They need to know he fulfills their eternal and spiritual needs. Reverent. 5a) Work for food that endures to eternal life. Helping others. Worshipping God. Doing God’s work for you here on earth. Evangelizing. Do not work for food that spoils. Work with no purpose. Work that leads to sin. Everyday food. Earthly treasures and power. b) God the Father, by the miracles which had been performed by Jesus (water into wine, healing the official’s son and the paralyzed man, feeding the 5000, walking on water), had shown that he had sent him, that he approved his doctrines, and ratified his works. The miracles were to his doctrine what a seal is to a written instrument. We learned last year that those who are saved through faith in Jesus receive God’s seal (Revelation 7:2-3; Revelation 13:16-17). It is God’s mark of approval. Conclusions: Thought the personal side of question 4 was out of place. Not sure how studying the Bible correlates to Jesus telling the people to do heavenly works. Question 3 was straight copying. I love how people think they know what to ask Jesus and what’s important in their lives and Jesus just completely ignores them and points out what actually matters: him and nothing else. Awesome! End Notes: This is the day after the feeding of the 5000 and the walking on water. This is the same crowd who were there and the same crowd who wanted to crown Jesus as king. Some people got into boats. Others had to have walked. Jesus, again, does not answer their question. It would have been: Well, I walked across the Sea of Galilee. Not exactly something Jesus wants to promote. Later in this chapter, John tells us that this took place at the synagogue in Capernaum at a Sabbath service (John 6:59). Also, according to Matthew 15, Jewish leaders from Jerusalem came to Capernaum to question Jesus. They were also part of this crowd. Instead, Jesus tells the people why they themselves came. This is a lesson to us: ask ourselves why are we asking God for something. This is classic: material needs versus spiritual needs. Which one do we work for? Jesus uses the title “Son of Man” because it was unknown at the time. It wasn’t “Messiah” which would convey to the people he was here to conquer Rome. He wanted to emphasize why he was here: for their soul not their country. A seal was a mark of ownership and a guarantee of contents. God the Father has sealed Jesus for us–by his testimony, his baptism, his miracles. Summary of passage: John was invited into heaven for a glimpse. He was in the Spirit. Before him was a throne. Sitting on the throne was one who appeared jasper and carnelian and a rainbow and 24 other thrones with elders surrounded the main throne. Seven lamps or spirits of God shone before the throne. Thunder came from the throne. Four creatures surrounded the throne: a lion, ox, one like a man, and an eagle. Each creature had 6 wings with eyes everywhere and were singing God’s praises constantly. 3) Personal Question. My answer: God. Appeared like jasper and carnelian. God is to be worshipped constantly. 4a) 24 elders. Elders could be angels or man–most likely man. White represents righteousness and glory. Angels are sometimes presented in white robes or garments (Mark 16:5; John 20:12; Acts 1:10), but saints also have white robes (Revelation 6:11, 7:9, 13-14) for righteousness (Isaiah 61:10, Revelation 3:5-18). We never see angels crowned but believers will be (1 Corinthians 9:25; 2 Timothy 4:8; 1 Peter 5:4). This shows man as heirs with Christ and reigning with Him (Romans 8:17; 2 Timothy 2:12). (See End Notes for full explanation and interpretations). b) Personal Question. My answer: Eternal. Crown of life (James). Crown of glory that will never fade away (Peter). Crown of righteousness (Timothy). Crown that will last forever (Corinthians). To be honest, on this day, a Saturday at 6:25 am, it doesn’t encourage me. Not one bit. Conclusions: Being far from encouraged today and being tired of being asked about how I am encouraged in this study when truthfully I’m pretty down-in-the-dumps, I decided to count how many times we are asked this (so far). Lesson 3: We are asked what helps, strengthens, and comforts 2 times and encourages 2 times. Lesson 4: Hope 1 time. Lesson 7: None. Mainly factual lesson. Lesson 8: Encourage 2 times. Hope and confidence 2 times. Totals: Encourage 6 times. Hope, help, comfort, confidence 13 times. Being that the definition of encourage is “to inspire with courage, spirit, or hope; hearten; to spur on, stimulate, to give help or patronage to; foster.” (we talked about it in Lesson 8 Day 5) has the words “hope” and “help” and “hearten” which means confidence, we can probably add all of these together for a grand total of 19 times. Maybe I’m being petty or cynical or what-have-you (and I’m sure you all will let me know if I am). The book of Revelation does not intimidate me. It does not scare me (check out my poll in the sidebar. Half of you aren’t scared by the End Times either). It is like any other book of the Bible–given by God for us to discover a bit more about Him and His desires for us. It is no harder than say Matthew to study or any other book. I don’t understand why Christians shy away from it (my church included. In the 11 years I have been attending it has NEVER done a series on Revelation which is a travesty in my opinion). I think this is why people are intimidated–no one talks about it. Plus, with all the doomsayers out there, putting out movies (which are fiction) and writing novels (fiction as well) about Revelation, people can’t separate fact from fiction. It’s simple: Bible is fact. Everything else fiction. Believers have nothing to worry about. Nonbelievers do. Point of my rant: Knowing I have an eternal future doesn’t encourage me when the bank is calling and I’m late on my mortgage and it doesn’t encourage me the day I file for bankruptcy, hold my baby close, and cry, knowing I’m leaving the house all my children were born in. Daniel’s story doesn’t encourage me when my husband loses his job. It doesn’t encourage me when my husband is passed over for promotions because he lives out God’s words in his deeds. Knowing there is a kingdom awaiting me doesn’t give me hope in my daily life at times when loved ones are in car accidents, my dogs die in my arms, or cancer strikes friends and relatives. (Note to prevent emails: All of this stuff has happened to me, some of which I have written about here. I’m actually in a really good place right now. Just goes to show you whether your down in life or up hope and encouragement can still be far away. The main thing weighing on my heart right now and is probably the root cause in all of my down-in-the-dumps attitude is my inability to get a book published–my life long dream and God’s will for my life I believe. When doing God’s will for your life ends up perpetually at a dead-end road, discouragement, disappointment, and heartache reign and skew your vision of life–be it daily life and eternal life. I’m working to pull myself up but am not there yet). At the end of the day, God does give me encouragement when I pause to listen and pray. But every day? No. It just doesn’t. I mentioned in Lesson 8 Day 5 I have become numb to most of the world’s happenings in order to maintain my sanity. I think the same is try for God’s encouragement and hope. Yes, I should be encouraged and filled with joy that there is more for me besides the daily grind. But do I believe it and live it out every single second of the day? No. Will I? Perhaps. Am I getting closer each day? I’d like to think so. I recognize it though. That’s the first step to changing it. Sorry for the information dump. Sometimes when BSF asks questions about hope and encouragement and comfort and I don’t feel any it can be depressing. (I have mentioned this before in other studies). But I shouldn’t feel guilty about it (and neither should you if you are in my boat). Because God will comfort and encourage and give us hope when we need it. Not necessarily when we are asked the question. Not everything has to encourage. In fact, it can be the opposite. Note: We were asked about the crown as well with the exact same reference Bible passages in Lesson 6 Day 3 for Revelation 3. End Notes: We are beginning a new division in Revelation (where scholars break it up) with the words “After this”. We are going to study Revelation 4-5 which begins John’s visions when he was taken up to heaven and then take another break and jump to Joel who prophesied about the Day of the Lord. Here we’ll see a heavenly perspective and how God metes out judgment on earth and its people. This is the beginning of the description of the Tribulation and introduces the rest of Revelation. The number 7 will be prominent here. A separate post on the significance of numbers in the book of Revelation will follow this lesson. After Jesus finishes speaking to the 7 churches, John is called up to heaven to see events that will take place –leading up to Jesus’ return to earth. This echoes Moses’ call up to Mount Sinai in Exodus 19. Many see this as symbolic of the rapture as John is taken to heaven before the judgement. Chapter 6 will describe the wrath. As noted before, the word “church” is not used from Revelation 4-19. This will bring in the debate about the Tribulation but we’ll save that for later on. John immediately sees a throne in heaven whereupon sits God. Note he doesn’t describe God as a figure but as emanations–colors–jasper (white or “diamond”) and carnelian (red). Colors could be blood of Christ or refer to the priests breastplate (Exodus 39:8-13). Note the rainbow which is God’s covenant with man (Genesis 9:13-16). God is sovereign but He himself limits what He shall do with covenants and promises to us. This is a reminder of God’s love and mercy and grace for us. The 24 elders are either human or angels. Either way they represent man (12 tribes and 12 apostles–all of Israel and all of the Church) or divisions of the priests (1 Chronicles 24). Most think they are human in glory (the white). Believers will be crowned (1 Corinthians 9:25; 2 Timothy 4:8; 1 Peter 5:4). Saints have white robes (Revelation 6:11, 7:9, 13-14). Thus, man is joint heirs with Christ, sitting on lesser thrones in heaven (Romans 8:17, 2 Timothy 2:12). Lightning, rumblings, thunder is God’s presence and fear of Him. In Revelation, thunder and lightning will always mark and important event connected with the heavenly temple (Revelation 8:5; 11:19, 16:18). 7 lamps are the Holy Spirit. 7 Spirits of God are completeness again (Revelation 1:4). Sea of glass–scholars are divided whether it is literal or figurative. The “Sea” in the Old Testament is the basin of water priests would wash in before administering in the temple (1 Kings 7:23-26). See also Exodus 30:17-21. This was before we were made clean with the blood of Jesus (Revelation 1:5). Hence, it may symbolize our righteousness before God. Four living creatures full of eyes are cherubim (Ezekiel 1:4-14; 10:20-22). The eyes show their intelligence all their job is to worship the Lord. Satan used to be one of these (Ezekiel 28:14). The cherubim each had 4 faces (Ezekiel 1:6-10). The four faces have dozens of interpretations such as the elements, the cardinal virtues, the faculties and powers of the human soul, the patriarchal churches, the great apostles, the orders of churchmen, the principle angels, etc. Some say they represent Jesus. Some say they represent the 4 gospels and Jesus’ characteristics. Some harken back to the tribes of Israel as they encamped around the tabernacle. All 4 represent the pinnacle of their world–lion king of wild animals, eagle king of birds, ox strongest of domesticated animals, and man king of intelligence and animals. The triple repetition of “holy” is rare in Hebrew and meant to call attention to God’s holiness. Lord God Almighty–in Greek it means “one who has his hand on everything” (Revelation 1:8). Yahweh is “who was and is and is to come.” (Revelation 1:8) Almighty refers to God’s wholeness as the Triune God and how He is fully God always. Note to Readers: We are now entering the second half of Exodus. Here, we will shift from the flight from Egypt (the first 20 chapters) to mainly laws and regulations given to the Israelites at Mount Sinai to govern the life of this new nation. These are laws given specifically to the judges for the Israelites. Summary of passage: Laws regarding Hebrew servants: A Hebrew slave may serve you for six years but then go free in the seventh year. A wife may go with him. However, if the wife has children, then they must stay behind as they belong to the master. If the man wants to stay, he must pierce his ear with an awl and be a servant for life. If a man sells his daughter as a slave, he gets her back if her master is displeased with her. Laws regarding Personal Injury: If a man strikes or kills another, he is to be killed. If a man attacks his father or mother or curses them, he is to be put to death. If he kidnaps others, he is to be killed. If a man hurts another, he must be compensated monetarily. If a man beats his slave, he is to be punished if the slave dies. If a man beats a pregnant woman and she loses the baby, he is to be fined. If she dies, then he is to die. If a master hits a slave and blinds him or knocks a tooth out, the slave can go free. If a bull kills someone, the bull is to be stoned. If the bull has done this before, both the bull and its owner is to be stoned. But if it’s a slave, the bull dies and the slave’s owner is to be compensated. b) Israel is God’s treasured possession, a kingdom of priests, and a holy nation set apart from others. God holds higher standards for His people and thus all these laws that set a moral precedent. We have been given everything; thus, we are expected to be more and give more. Teachers of God’s Word are also called to be more as they impart God to others. Plus, we are doing God’s bidding, not our own, when He gives us a task. It is His will and as He is the Lord of all we must obey whole-heartedly. If we fail, we fail God and whatever purpose He had for us. It has greater implications than just failing our own will. d) Personal Question. My answer: It makes me strive for more, do more, and have a higher moral standard than others. Do the right thing always not just when “I feel like it”. I do things I don’t want to do and am the better for it. I go to church when I don’t feel like it. I help others when I’d rather be home reading a book. I give more and am enriched by God because of it. I hope my kids see this example and I try to impart this knowledge to do more than what is expected. 4) God talks a lot about slaves and women and their rights. By beginning with laws protecting the lowest on the social scale (slave and women), God was teaching the value of every human being. Every one matters is what God is saying here. To Him. Thus, they should matter to His people. To God, everyone matters. You and I. Our neighbors. The beggar on the street corner. The adulterer and murderer. I love how God addresses pregnant women here, giving unborn babies value. Thankfully, we (at least those of us in the West) don’t live in a society where it is common to hit women although it does happen. But here God values even the unborn. If He values them, then what does that say about our value? End Notes: Many of these forthcoming laws set a new standard of morality for God’s people to live by, giving value to slaves and women, the poor and the aliens. Israelites were the first to give slaves rights and say what is right and what is wrong. Note how God addresses slavery first–to a people whom He just rescued from slavery! Slavery was a fact of life in the ancient world and here God is working to tame it. He knows in time it will die out. He is setting the first precedence for that. Most of slavery with the Israelites was of an indentured servant type. None was meant to be life-long and only was used to get out of debt or some other extreme life circumstances. It was limited in other words. Note how the life-long servitude was chosen–not mandated–by anyone else. The piercing of the ear reflects Jesus as he was pierced for our sins and chose to die and be a servant to us all (Philippians 2:7). The selling of the daughter in this passage was when a father sold his daughter as she was engaged to be married to a son in the family. This may have been done ahead of time in order for her to work off her bride-price. Hence, she was to be returned if the marriage did not take place. She was to be treated and cared for and never harmed. Our laws for murder and capital punishment originate here–the Bible. Since Genesis 9:6, God has laid down what is just in this respect. Furthermore, God says there is to be no mercy nor protection at the altar (in ancient times, people could find sanctuary at an altar). God is clear on His desires here. In Numbers, we learn unpunished murders defile the land. God establishes sanctuary cities later on for those accused of murder to flee in order to await trial and to be protected from avenging relatives since in the ancient world if you murdered someone, their relatives then had the right to kill you. Kidnapping for the purpose of enslavement is what God is aiming to punish here, something very common in the ancient world. The cursing of your father and mother was to protect the older generations and establish respect. Personal injury laws began here. If you hurt someone, you were responsible, especially if they couldn’t work. Slaves in ancient cultures were not human so could be killed at any time. Here, God tells the Israelites this is not okay. We are either slaves to Satan or to Jesus. Which are you? Laws of retribution establish limits. If injured, you are rightfully due compensation. But limited to what was taken. If an eye, compensation for an eye, not with a life. Numbers 35:31 tells us money could be substituted instead of a life. Caution when dealing with your slaves; least you hurt them they could be set free. Interesting precedent here with animals as we can/should learn from this. If the animal has no previous history, then the animal only dies. If there is a previous history, then the owner dies as well. This is the difference between intent and neglect. Summary of passages: Matthew 8:1-4: Descending from the Mount, a man with leprosy approached Jesus and asked to be made clean. Jesus agreed and cured the man of leprosy. Jesus told the man to not tell anyone that it was he who cured him but instead to go and show the priests and offer the gift to them that Moses commanded. Mark 1:40-45: Mark’s account is the same as Matthew’s except we discover the reason Jesus wanted to keep it secret: so he could continue his ministry. Instead, despite Jesus’ warning, the man went out and began to spread the news that Jesus healed him, thus inhibiting Jesus from entering towns openly. Still, he preached as the people instead came to him. 3) The man did not demand that Jesus heal him like most toddlers do who don’t know any better. He approached Jesus with a reverent attitude and knelt before him. He asked politely. Presumably, the man had a ready heart for Jesus did not heal those whose hearts were not right. He believed Jesus could do it. He just didn’t know if Jesus would do it. He never doubted. Some translations say the man worshipped Jesus. The man left it up to the will of God. He called Jesus “Lord”. He acknowledged who Jesus was. The same for those seeking spiritual healing today: have a ready heart and a humble, penitent attitude before God. Worship God. Ask for God’s will to be done. Believe 100% that God can do it. 4a) Jesus’ actions: Jesus touched the man, healed him, and bade him not tell anyone and instead offer sacrifices for the miracle to God. He wanted the credit to go the priests not him. b) Jesus’ emotions: Jesus was filled with compassion upon seeing the man (enough to heal him) and he gave a strong warning according to Mark to not spread the news of the healing. I would imagine Jesus was sad at being disobeyed because it did inhibit his work and thus the use of the word “lonely” in verse 45.
c) Jesus’ words: Jesus says he is willing to heal the man. He speaks the words and the man is healed. He tells the man to offer sacrifices as Moses has commanded and to give the credit to the priests. Note how Jesus does this with no regard to himself, no expectation of self-glory or exaltation. He did not heal the man for himself. He healed the man because it was the right thing to do. d) Jesus’ care for the leper: Mark tells us Jesus was filled with compassion. He cared for the leper enough to heal him even though Jesus knew it would bring hardship upon him as Mark tells us that the man deliberately ignored Jesus’ instructions and created chaos wherever they went. 5) Personal Question. My answer: Two things: notice how Jesus said, “I am willing.” This is a great comfort to me as I know that God is willing to do anything for me that I ask. Also, note how Jesus heals the man despite he knows it will bring hardship upon himself. God will do things for us even though He knows we may turn from Him, disobey Him, not acknowledge Him, or not show gratitude for what He has done. It’s an amazing picture of God’s love for us. It makes me realize (as much as I am able as a mere human) the depth of God’s love for little o’ me! Conclusions: I liked this lesson. Note how only 9 verses in the bible can carry an enormous message for us. Here, we see Jesus’ immense compassion for people and his willingness to do things not for his glory but for others. He heals despite the man’s disobedience. Powerful message that many of us need to hear: God loves us and cares for us despite our sins, misgivings, fallings short, disobedience, denial, and selfishness. Who else do you know that loves you as deeply? End Notes: To understand the depth and magnitude of what Jesus did here, we must understand leprosy itself. Leprosy was (and still is) a horrible disease where your muscles slowly rot over time. It progresses to where the limbs slowly rot and fall off as all circulation is cut off from that part of the body. Leprosy has been around since the beginning of time. It is reported by all the major civilizations including Ancient Egypt, Persia, China, and India. As most diseases of ancient times, it was not understood. Hence, people were afraid of catching it. As such, those who had leprosy were outcasts, considered unclean and punished by God for their sins. Jewish law demanded you stay 6 feet away from a leper. During the Middle Ages, priests would actually say the last rites over a leper as they were as good as dead. Lepers were treated horribly and endured a very horrible life. Lepers had to live alone (Leviticus 13:46). They had to shout “Unclean! Unclean!” as a warning to others. If you are interested in a visual, I would suggest watch the movie “Ben Hur”. It has an accurate depiction of how lepers were treated in Jesus’ time. Now, we know catching leprosy is actually not all that easy. It’s a bacteria that is spread only through close contact with nose and mouth droppings. According to the World Health Organization, only about 180,000 people worldwide have the disease, only about 200 live in the United States. It is a curable disease, treated with antibiotics. Thus, it is hard for us to understand this disease and the people afflicted with it. For Jesus to touch the man, he was breaking Jewish law. For him to come near the man, he was breaking Jewish law. But upon the touch, the man was healed. Thus, the law was not broken! Did Jesus have to touch the man to heal him? No. He touched the man to make a point. That lepers can be touched. Note as we go along though the chronicles of Jesus’ healing ministry how he heals. He uses different methods depending on what he wants to get across. Here, he needed to show it was okay to touch a leper. And he touched the leper for the man himself. The man probably hadn’t been touched in years. He needed that human affection. Imagine not touching a baby. We all need human contact to be functional in this society. God is always willing and able to heal. It’s God’s will if He does or not. Why did Jesus not want his healing announced? Jesus came to save us from our sins. He didn’t want his miracles to trump his overarching message. He didn’t want to be seen as a physical healer; he wanted to be seen as the spiritual healer of men’s hearts. Jesus told the man to report to the priests so he could follow the cleansing acts as required by the Law (Leviticus 14). This would allow the man to re-enter Jewish society and begin to live his life once more. This is the first case of healing described in the gospels. Summary of passage: A bit after the world had been repopulated some people moved eastward and settled on the plain of Shinar (Babylonia). They used bricks and tar to build a city with a tower that reaches to the heavens so that they could make a name for themselves and not be scattered over the face of the whole earth. It’s basically where Babylonia was, which is between the Tigris and Euphrates Rivers. Using these materials would make the tower waterproof, showing the people were afraid of another flood (didn’t believe God’s promise). So reason: to protect them against a flood. b) God told Noah’s sons to fill the earth. They did not. They came together and built a city instead (where a big group of people live). Furthermore, they admitted they didn’t want to be scattered over the face of the earth (verse 4). They wanted to live together. c) Exodus is the Ten Commandments. Matthew is where Jesus tells the people the greatest commandment: to love the Lord your God with all your heart, soul, and mind and the second which is to love your neighbor as yourself. Timothy describes people in the Last Days (which in my opinion is people always). Simple: they do the opposite of what God says. They follow self. They ignore God’s words and commands. Deliberately and intentionally. Conclusions: Question 3 is assuming everyone has a Bible map or access to one or the Internet (not everyone does). So didn’t like this one. Makes you feel like you should have a Bible map. Some Bibles have maps in the back but not all. In essence, Shinar is an early name for Babylonia, the land between the Tigris and Euphrates Rivers. Hopefully, most of us know where this is from Lesson 3, Day 3 when we discussed the possible location of Eden. I can see the chronological reason for studying these chapters switched but I like the way the Bible links the ends. Chapter 11 tells of Terah who is Abram’s father which leads nicely into chapter 12 when God calls Abram. Chapter 9 ends with Noah cursing/blessing his kids and Chapter 10 launches into Shem’s, Ham’s, and Japheth’s descendants. So while I understand the reasoning for switching the order of study, I don’t feel it was necessary for a better understanding. 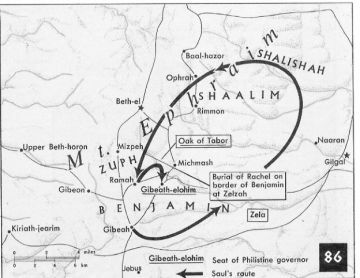 End Note: Interestingly, Babylonia is where the descendants of Shem (the son blessed by Noah) settled (which we learn in Chapter 10–the chapter we skipped). This ties in well with Question 4c. Even though these were the blessed ones by Noah and will be the chosen ones that lead to Jesus, they too sinned. Man never changes, does he?